Christmas with family is always worth the traffic and the inconveniences of traveling. These past visits, I have really made the conscious effort to prioritize spending time with my family, rather than arranging meet-ups with my friends. With the unpredictable traffic situation, I could either spend 30 minutes or 5 ½ hours in the car to go the distance of 7 km to get to the city. I know my friends know I value our friendship, despite the distance. I know someday I will dedicate time to bond with them. Kevin and Nina are really enjoying being with my family. They are able to understand and speak Tagalog little by little, and experience all kinds of things that were part of my childhood. This Christmas, they did a lot. We brought Kevin's ukelele, and together with one of my Mom's neighbors who is the same age as Nina, they went caroling in the neighborhood and got 70 pesos each on their first night. They went to the sari sari store to get some candy from the money they made. They helped make yema to give to our family and friends (which they ended up eating most of), ate at Jollibee, bought McDonald's take out for 12 people who were tired of cooking one morning, endured heavy traffic, stood through long and disorganized lines at the airport, witnessed petty crimes on the street and heated drivers who protested when other drivers were driving on the wrong side of the road. They saw street children after Christmas morning begging for food and money, and learned, hopefully through my example, to respond to them, with compassion and sensibility. My kids partied with their cousins and had to mano 48 Titos and Titas who gave them crisp 20 peso bills after they sang for them. All part of the Manila experience. Seeing my children with my family and getting to try out things that I grew up with also makes me introspective. I really feel like as I get older, I now shy away from the limelight. 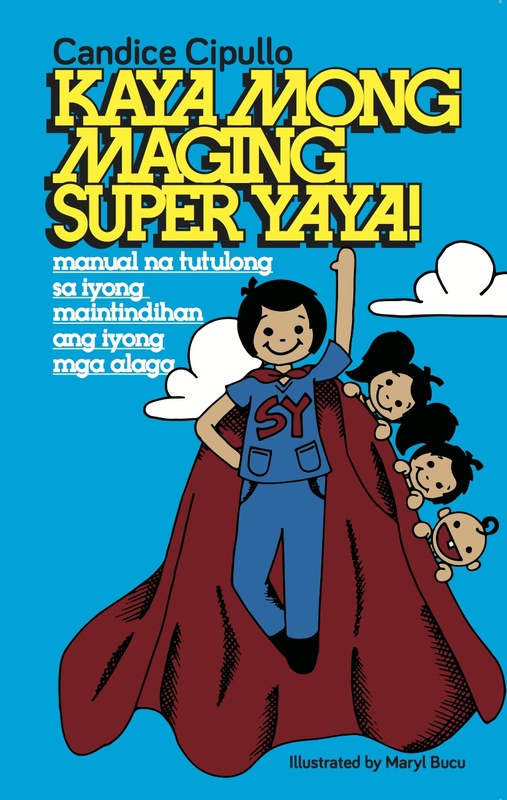 (papansin kasi nung kabataan!) No longer are the parties about me and everyone missing my singing voice and hearing my stories from abroad. It is now about being with family and talking about issues that are of significance to everyone's lives. It is now about helping others move forward and giving more sensible advice, from the perspective of one who has met different people from all over the world, and has been exposed to multi-cultural views. Long live the Titas of Manila talaga! After spending Christmas in Manila, we went to Cebu to spend time at the beach. We spent weeks looking for affordable accommodation and thought it would be nice to experience one of the islands away from the expensive and fancy resorts in Mactan. Lo and behold, we get to Olango, a sleepy town where the only way to get to is to pay 15 pesos (3 cents) to ride on a kawawa looking boat, with two shirtless and toothless captains, and a 120 peso ($2.50) tricycle ride to the resort. We were welcomed by super friendly staff, unending Kenny G music at the reception, and a loud videoke machine brought to you by a nearby resort. The resort is beautiful, with a fancy pool in front, to compensate for the lack of a sparkling beach front where we could have enjoyed the sound of the waves, sipped Margaritas while sitting in a comfortable beach chair while the kids could have built sand castles and played in the clear blue ocean. Instead, we were amidst mangroves, surrounded by mud during low tide, and trash from Cebu City. I was so frustrated as we came all the way to Cebu to see the beach, but my ever awesome husband reminded me of how blessed we are that we are here, with decent accommodations and that we could take a boat to the nearby islands. It didn't help that there was a typhoon for 3 days, but as I watched my family playing in the pool and not minding the low water pressure in our toilet, the absence of a hot shower (only a bucket and a tabo) and the never ending mosquito bites, I am humbled by their lack of complaints. It was clear to me that they all just wanted to be together and have a good time. The saving grace came on our last day, when we walked to the fish sanctuary, boarded a boat to get to the snorkeling spot. Too bad Tim forgot the memory card of his GoPro, but the marine life there was spectacular. After that, we took a tricycle ride to a seafood restaurant where we devoured steamed crab, fried squid, clam soup and fried lapu-lapu (a kind of fish). Before heading back to Manila, we left the kids to play at a Play Lab similar to the one enjoyed in Capetown while Tim and I bought omiyage for our friends, and met with our cousins at Pancake House. On our last night in Manila, our generous friends had their driver pick us at the airport and take us to our favorite restaurant in BGC, Big Bad Wolf where we ate our favorite meals. We got home to their comfortable home where a masseuse was waiting for us. Amazing. Now back in Yokohama, I am welcomed by unwashed laundry hampers, a half closet full of clothes to iron, 3 bathrooms that need cleaning, a two story house requiring vacuuming and putting away random things, a kitchen and fridge that need to be disinfected, 4 suitcases and 4 backpacks to unpack, and a whole lifetime of meals to prepare. The memories of the beautiful Christmas holiday with my Mom, my siblings and my extended family, and being together in Cebu will sustain me for the next few months until we go back to the Philippines again or welcome visitors from every part of the world. I am grateful for the opportunity to cherish our blessings and look forward to what the new year brings to our lives. I hope you are too!